Our 2017-18 class of Coro Fellows recently wrapped up their first round of placements, and we’d like to extend our appreciation to the nonprofit organizations that hosted Fellows. In addition, special thanks to Purina for providing placement sponsorship support. Project placements are a cornerstone of the Coro Fellows program, exposing each Coro Fellow to the nonprofit, electoral politics, labor, government, and business sectors. Through their placements, Coro Fellows gain broad exposure to the region and develop competencies to make more effective decisions as future public leaders. During a placement, the host receives the benefit of a completed, high stakes project and the Coro Fellow learns about the structure, culture, and role of the host organization in the community. Interested in becoming a placement host? 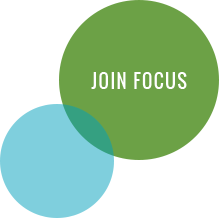 Please complete our Interest Form for more information or contact Michelle Miller, Coro™ Fellows Program in Public Affairs Director, at (314) 657-4023 or fellows@focus-stl.org.